Big changes are happening with our friends Knight Models, for both their Batman and Harry Potter Miniature games. We’ve got some exclusive news for you for both, as well as a run-down on some of big changes that are happening with the new releases. Yup, that’s right, you heard it here, you heard it first. BMG and HPAMG are both getting new Tournament Kits this year, with special events and some amazing new prizes. More clues needed? Ok, ok.. It’s a character that’s been around since the ’70s, it’s a personal favourite of mine… and if you’re right up date with your DC Comics you’ll know that they’re about to be in a lot of trouble… Nope, that’s all I’m telling you. Mwahahahaha, and so forth. As for the HPMAG exclusive mini we can tell you… nothing! Except it’s a variant of an existing character in-game. You’ll need your thinking (sorting?) hat on for this one, and you can find out how to win this month’s prize at the end. If that’s really not enough, read to the end of the article and you can find even more exclusive news. Yes, I am that good to you. 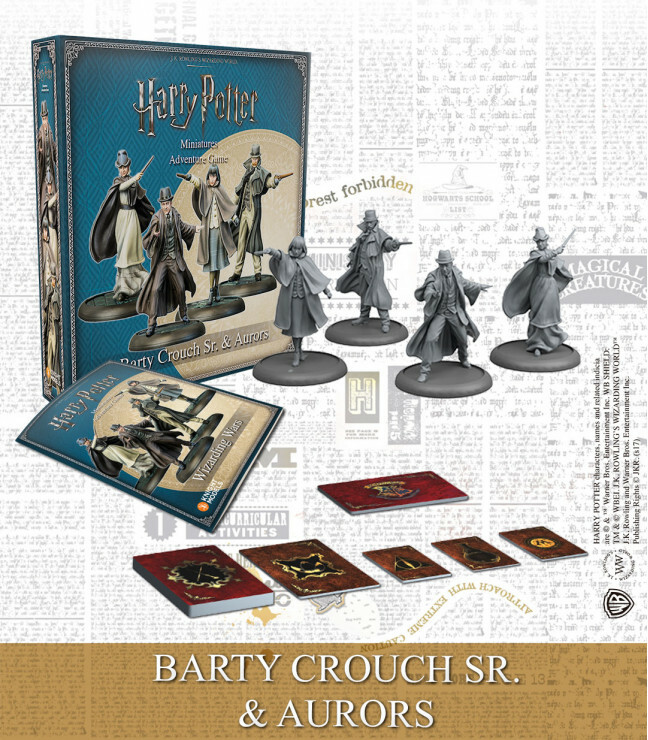 The two new larger box sets for HPAMG feature Barty Crouch Jr with Death Eaters and Barty Crouch Sr with Aurors. Crucially, these also contain the rules and decks for Wizarding Wars, which is at the core of the new HPAMG Tournament format. First, let’s talk about the models. The sculpts in both sets are great – it’s all about the hats. The classic pointy-hood Death Eaters are very sinister, the Aurors very business like. Both Jr and Sr capture the feel of the actors well, and there’s no extraneous or oddly pointy parts to get snagged, snared or snapped. As for the logic of selling the big new game mechanic on these characters, I’m less convinced. Don’t get me wrong, I get the fluff-logic of it, but I’m not entirely sure that the characters have enough of a “Must-have” feel to for what is, essentially, a must-have product. Breaking the sets down in game terms, we have two 34-Galleon sets – the competitive format is 50, so they at as a strong basis with room for personal customisation. 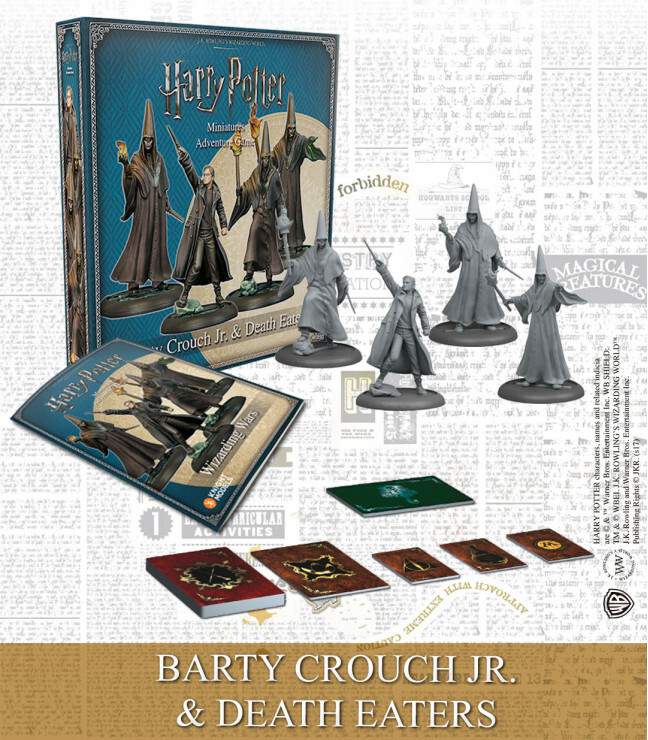 Barty Crouch Jr is, as you’d hope and expect, the star of the show:10 Galleons, with a limited teleport at the start of the game, potion 2, tactician, and the frankly spectacular dark mark as his innate spell: automatically lowering difficulties for Dark Magic users around him. Frankly, you’d be hard pressed not to use him in a Dark Arts list.. The 3 Death Eaters are much as you’d expect – Dark Arts/Combat spells, another duellist for the new mechanics – but the main thing is that they’re 8 cost, so feel much more solid than the starter set versions. High Magic, high temper, good spells and power ratings make them a more robust choice generally for the evil doer, though it remains to be seen if they’ll replace the big names and little Slytherins. Barty Crouch Sr is, for 11 Galleons, a fairly strong choice also. If you’ve always wanted to be the good guys but do bad things, Barty Sr is the man for you, allowing your Light magic characters to use Dark Arts (effectively) – indeed, his innate spell is Imperio (cheeky…) And the Aurors are far from shabby either: an 8 cost with Avada Kadava? I should say so, and the sculpt (hatless, with a tight-button jacket) is all business. The other female Auror is likewise very impressive, a 7 cost Scout with Stupefy, a serious contender for the price (a great alternative to Luna – or indeed, as well as). 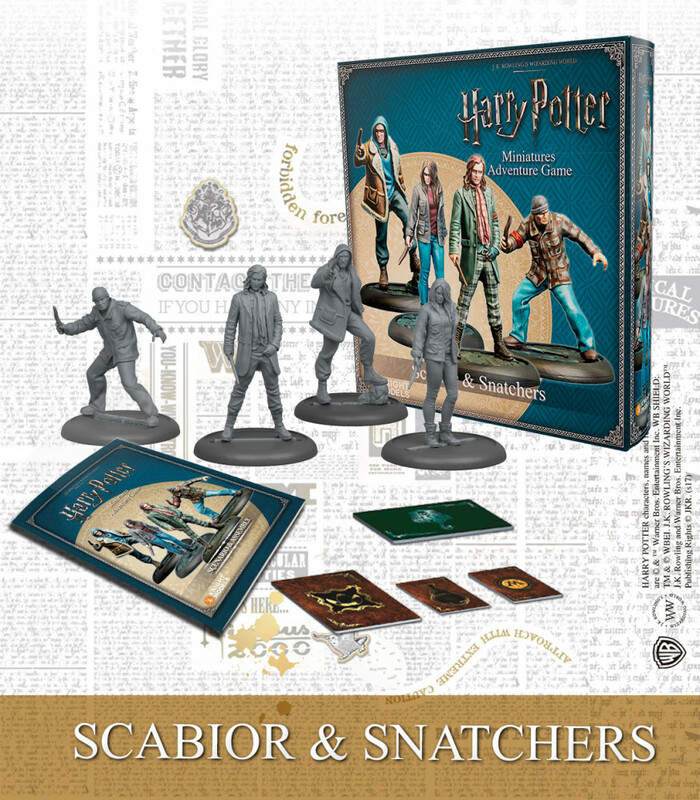 If anything, my only real problem with this set is I just don’t like the idea of “good” characters running around casting Unforgivable Curses with no down-side; it grates slightly with my fanboy tendencies. As for the decks themselves, you get a 15 card duelling deck to fight your Wizarding Wars. I have mixed feelings about this. On the one hand, the mechanic is pretty straightforward: when casting a combat spell, you now also draw 3 cards from the top of Wars deck; if one player’s Wizard doesn’t have the Duellist trait, you show these cards to your opponent. Each player then picks one card in secret, and puts the rest back; if both players reveal the same card, they negate each other, otherwise, you apply the effect (typically raising the difficulty but for more damage). It’s a pretty neat system: it’s easy to explain and quick to manage, without slowing the game down significantly. 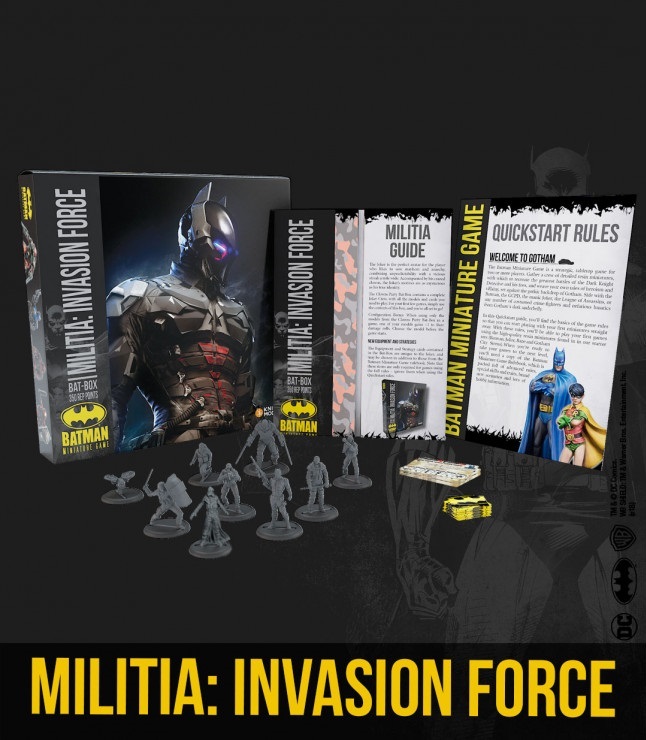 My concerns are two-fold: firstly, should an adventure board game be emphasising combat? Even if it enhances the experience as a whole? But, more pressingly, does the game needs YET ANOTHER deck of cards? Whilst I can see the logic for increasing the combat side of the game, especially for competitive purposes, I’m less convinced of the need for yet more cardstock, especially when the niggles in the Campaign system have yet to be sorted. Another release is a big one. Literally, really big. 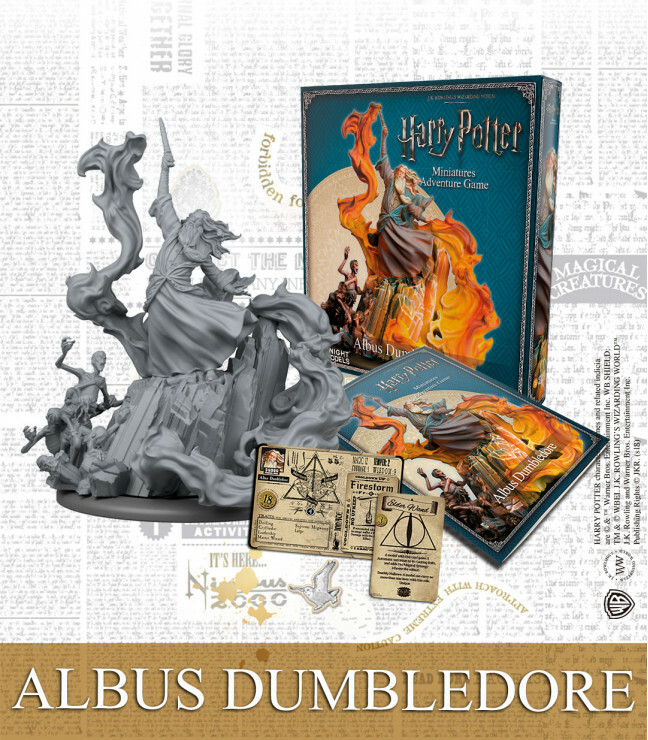 Dumbledore himself gets his retail release, a deluxe version with scultped base (from the end of Half-Blood Prince) that he can be mounted on as a display piece, or slotted out from to use in-game. It’s a truly spectacular model, and I think a better way of handling the “icon display piece” than the Special Volume rules from BMG (with 80th Anniversary Batman etc). This is not just one for the painter/collector, though, with a host of options, as the model comes with TWO versions of his character card, so that you can play him with innate Apparition or, if you’re feeling particularly bold, his iconic Firestorm (though this comes with the added drawback of Exhausting the character). Given that he’s 18 Galleons in either version, I’m not sure how much play he’ll see, but he’s certainly viable in-game and I’m a big fan of the multiple choices for gameplay – long may that continue. 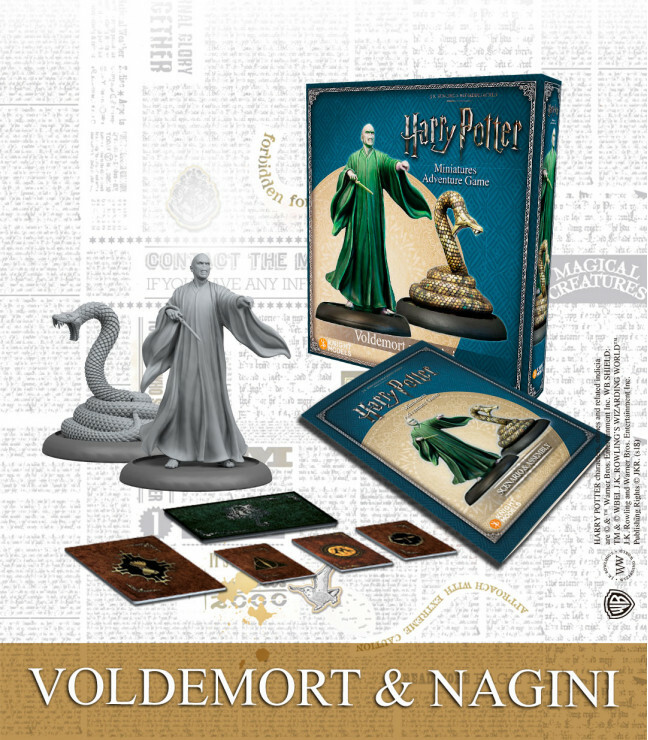 The Dark Lord himself, Voldemort (& Nagini) gets his retail release, along with a whole lot of Horcruxes. At 20 G, he’s far from cheap, but then as expected he is utterly devastating. And, a Slytherin, which just makes me smile. He draws power from any Dark Arts practitioners around him, as well as having Duellist innate Avada, so can be used as the lynchpin of a competitive 50G Dark Arts team. He is every bit as terrifying as he should be. Nagini, for 5G, is an interesting addition; the 25 Temper is just bananas. Not only that, but He Who Must Not Be Named comes with a new scenario, and I for one am really pleased to see them going this way with new character packs – this feels far more satisfying than the Magical Creature packs released thus far (we’ll see what we get with the Centaurs next month). Fenrir Greyback and the dreaded Snatchers are coming this month too, and if I’m being honest, they are the highlight for me. Fenrir seems steep for 13G, as unusually he has no innate spell – but, his Claws are immediately a potent damage engine. Even more interesting, however, is his “Snatcher leader” equipment card, reducing the cost of all other Snatchers by 1. When you’re already looking at a mere 6 or 7 G, and the fact that the more Snatchers you have the more automatic successes they get on their spells, you’re suddenly looking at a very scary, self-contained force. I am very impressed by these, as they feel like the first fully rounded, self-contained thematic sub-faction for the game. If you’re into Dark Magic (and getting caught in the rain… wait), these come highly recommended. As if that’s not enough, they come with a scenario and a host of new cards as well. Like Voldemort, this is great value: this is what we want to see going forwards. 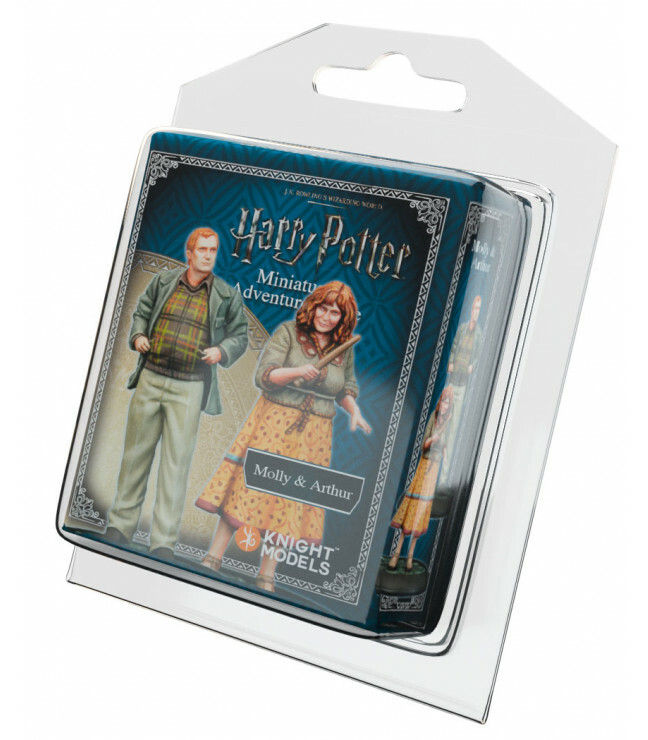 Equally, the ever-lovely Mr & Mrs Weasley get marvelously characterful sculpts this month. Whilst Mr Weasley is… ok for 8 Galleons (I’d probably choose Fred or George instead), Mrs Weasley is a powerhouse her 10 G cost. Potioneer 2 (that’ll be where the boys get it from), Duellist AND innate healing (plus another, different healing spell in the pack)? Sign me up. In the competitive format (50 Galleons) she’s going to see a lot of play, I suspect – the counter-point to Barty Jr, in many ways. This might change with the new Hogwarts teachers next month (Sprout…) but for now, she’s surprisingly awesome. 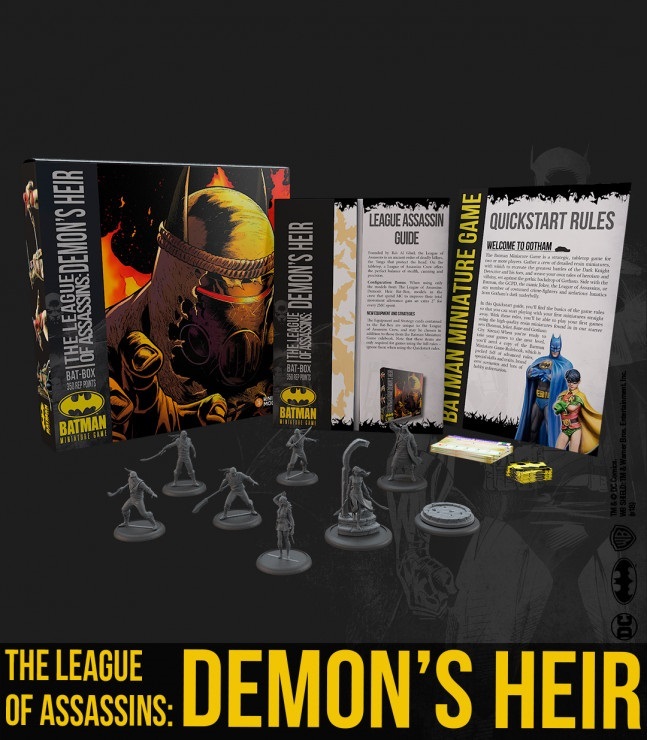 The two latest Bat-Boxes (350 pt, fully-game ready starter sets with rules and all) are a mixed bag. Actually, that’s a little unfair, but one is really outstanding. So let’s deal with the other first. The League box, on the other hand, knocks it out the park. There is not one sculpt in here that I don’t love. Talia is beautiful – literally, she looks hypnotic – and we finally get a Cheshire (yay! 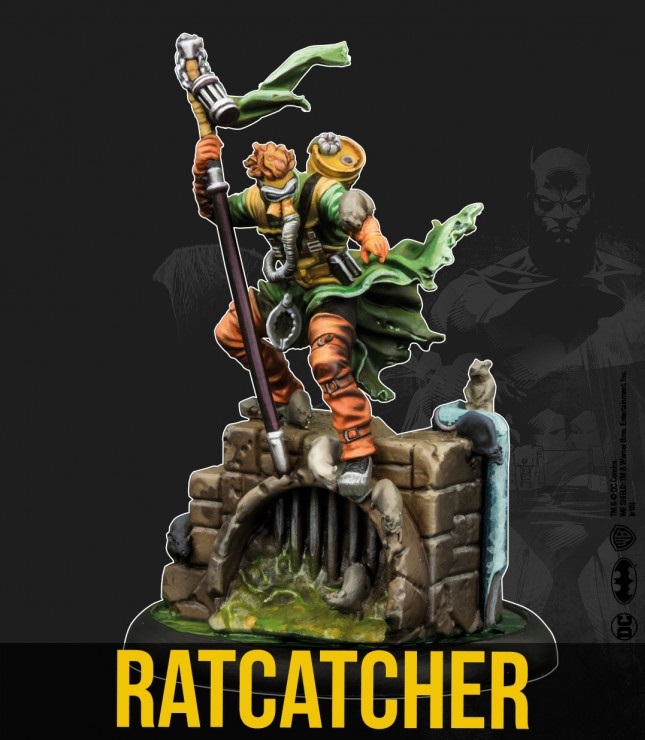 ), a hulking Heretic, as well as a Lazarus Pit marker and great generic Hassassins that have got a whole lot of uses written across them, whilst walking the line between silver age and contemporary look. I almost don’t care about the rules for this set – they’re really stunning. But, for what it’s worth, it’s great to see the League back to its rightful place as the biggest underlying threat to the bat, with a speed:cost:damage ratios that will leave even the Detective floored. Also this month we get both an iconic, and a less well-known, Bat-Villain. Jervis Tetch, The Mad Hatter, is a character I have very mixed feelings about. I am very much with Brucie on this, that the corruption of innocence he represents is particularly disturbing, and he’s never been a villain I’ve warmed to. That being said, I loved playing him in BMG 1st as his mind-control shenanigans were always rather cheeky fun. In 2nd, he’s been toned down a bit, but still looks highly entertaining, and clearly built to stack up well with Poison Ivy/Sirens Control lists. He also features one of the most characterful sculpts I’ve seen, though again I have issues: I am not a fan of the “Special Volume” rule, where a model is ‘smaller’ than it physically appears. It’s a bit to much of a faff for my taste. That being said, the quality of the pose is undeniably excellent, and I do see where KM are going with their more Display-style figures, a clear move towards targeting the collector/pro-painter market. Otis Flannegan, The Rat Catcher Who? 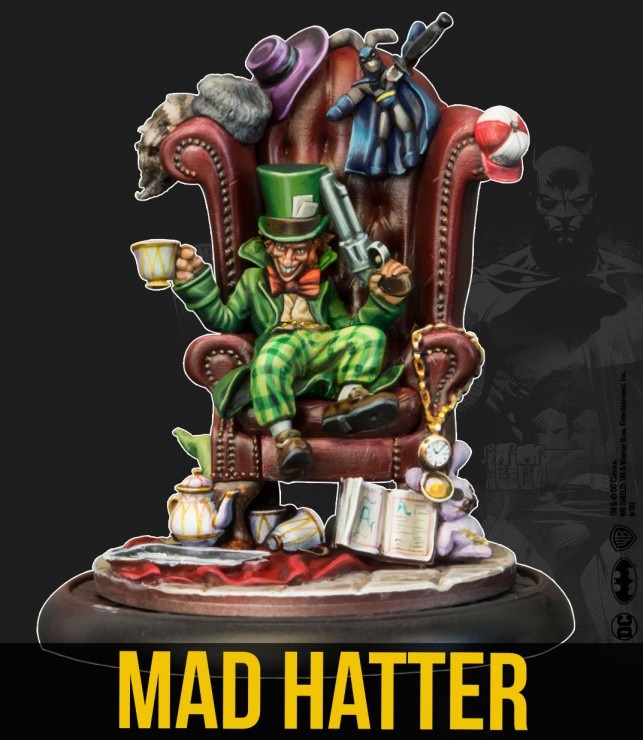 Yes, he’s not exactly a top-tier baddy, not even a second-stringer (mind you, he’s no Kite Man either), but this features another stunning sculpt; if anything, it’s even more impressive than that of Mad Hatter. In game, I rather like his rules mechanics (Special Volume notwithstanding), generating swarms of poisonous rats to overwhelm your opponent. He’s characterful, fairly cheap, can tie up a big hitter or choke down gangers, and generally a proper distraction, which meets all the key requirements for a Free Agent slot as a far as I’m concerned. Whilst we really, really can’t tell you much at this stage, we can reveal that there will be new, self-contained, fully playable Box sets for BOTH BMG and HPAMG later this year. As soon as the mighty Knight let us tell you more, you’ll be the first to hear, fellow Potter Geeks and Bat Freaks!